San Marino dental office like no other! At Prestige Dental, Dr. Bouzoghlanian and staff provide comprehensive dental care including cosmetic dentistry and dental implants. Our dental office serves the San Marino community, and is nestled very close in the heart of downtown Pasadena. Our friendly and professional dentist and staff will provide a dental experience like no other! We feature the latest in dental technology including digital X-rays, ultra comfortable, modern dental chairs, very quiet dental instruments, and a soothing and modern office décor. 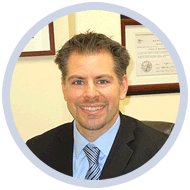 Dr Bouzoghlanian has the advanced education, skills, and experience to provide you with the top quality care you deserve! All treatment plans are customized for each individual patient. If you are considering dental implants to replace single missing teeth, multiple missing teeth, or even to retain your loose dentures, call us at Prestige Dental! We provide complimentary consultations and have very flexible payment plans for every individual! For your convenience, we accept most PPO dental insurance plans, have ample free parking, Saturday appointments, and extended weekday hours. If you live in San Marino and are searching for top quality dental care, look no further. At Prestige Dental, we separate good dentistry from exceptional dentistry! Call today!